Mark Gull was christened on 30 April 1849 in Capel-St. Mary, Suffolk, England. He was born on Monday, 30 April 1849 in Capel-St. Mary, Suffolk, England. He died on Monday, 17 September 1849 in Capel-St. Mary, Suffolk, England at the age of 4 months and 18 days. He was buried after 17 September 1849 in Capel-St. Mary, Suffolk, England. Ephraim Gull was an agricultural laborer.1 He was also known as Epheram Gull.2,1 He was christened on 20 August 1850 in Capel-St. Mary, Suffolk, England. He was born on Tuesday, 20 August 1850 in Capel-St. Mary, Suffolk, England.3,4 He lived with William Gull and Sarah Bryant in Capel-St. Mary, Suffolk, England on 30 March 1851.2 Ephraim Gull lived with William Gull and Eliza Clarke in Capel-St. Mary, Suffolk, England on 15 April 1861.1 At the age of 32, Ephraim Gull married Alice Marguerite Knight on Monday, 26 March 1883. [S277] Census returns for Capel-St. Mary, 1841-1891. Great Britain. Census Office, Film Number: 0542765. [S270] Census returns for Capel-St. Mary, 1841-1891, Great Britain. Census Office, Film Number: 0207447, Month, Year, City Verified. [S277] Census returns for Capel-St. Mary, 1841-1891. Great Britain. Census Office, Film Number: 0542765, Year, City Verified. Henry Criddle was a brewer and laborer.4,5,6 He was born on Monday, 14 March 1814 in Fifehead, Trull, Somerset, England.7,8,9,10 He was christened on 17 April 1814 in Trull, Somerset, England. Henry Criddle marrried Mary Ann Bull at the age of 23 and 23 on Thursday, 22 June 1837 in West Buckland, Somerset, England. Henry Criddle and Mary Ann Bull lived on the east reach, Taunton, Somerset, England on 13 May 1838.11 Henry Criddle and Mary Ann Bull lived on the east reach, Taunton, Somerset, England on 29 December 1839.11 Henry Criddle and Mary Ann Bull lived on Alfred Street, Taunton, Somerset, England on 30 March 1851.1 Henry Criddle was confirmed in The Church of Jesus Christ of Latter-day Saints by W. Jeffries on Monday, 6 April 1857.2 At the age of 43, Henry Criddle was baptized in The Church of Jesus Christ of Latter-day Saints by W. Jeffries on Monday, 6 April 1857.2 He confirmed Selina Criddle in The Church of Jesus Christ of Latter-day Saints on 25 December 1862; by Henry Criddle.2 Henry Criddle confirmed Charles Criddle in The Church of Jesus Christ of Latter-day Saints on 25 December 1862; by Henry Criddle.2 Henry Criddle and Mary Ann Bull immigrated on the ship "American Congress" between 23 May 1866 and 5 July 1866 from London, England to New York City, New York, New York.3,12 Henry Criddle and Mary Ann Bull immigrated on the ship "Cornelius Grinnell" between 30 May 1866 and 11 July 1866 from London, England to New York City, New York, New York.3,12 Henry Criddle died on Sunday, 16 September 1866 in Antelope Springs, Albany, Wyoming at the age of 52 years, 6 months and 2 days. He was buried on Monday, 17 September 1866 in Antelope Springs, Unita, Wyoming. He was sealed to Mary Ann Bull on Saturday, 10 October 1868 in the Endowment House, Salt Lake City, Salt Lake, Utah. [S271] Census returns for Taunton, 1841-1891. Great Britain. Census Office, Film Number: 0221080, Brewer Verified. [S345] Parish registers, 1558-1901. Church of England. St. Mary Magdalene's Church (Taunton), Film Number: 1526734 Item 11, Brewer Verified. [S450] Mormon Immigration Index, Laborer Verified. [S213] 1920 U.S. Federal Census Utah, Millard County, Film Number: 1241683, Country Verified. [S344] Record of members, 1854-1878. Church of Jesus Christ of Latter-day Saints. Taunton Branch, Film Number: 0087036 Item 2-3, Date, City Verified. [S345] Parish registers, 1558-1901. Church of England. St. Mary Magdalene's Church (Taunton), Film Number: 1526734 Item 11. Mary Ann Bull was christened on 23 July 1813 in Bradford, Somerset, England. She was born on Friday, 23 July 1813 in Bradford, Somerset, England.5,6,7,8 She was born on Saturday, 23 July 1814 in Bradford, Somerset, England.9 Henry Criddle marrried Mary Ann Bull at the age of 23 and 23 on Thursday, 22 June 1837 in West Buckland, Somerset, England. She and Henry Criddle lived on the east reach, Taunton, Somerset, England on 13 May 1838.10 Mary Ann Bull and Henry Criddle lived on the east reach, Taunton, Somerset, England on 29 December 1839.10 Mary Ann Bull and Henry Criddle lived on Alfred Street, Taunton, Somerset, England on 30 March 1851.11 Mary Ann Bull was confirmed in The Church of Jesus Christ of Latter-day Saints by William Jefferies on Saturday, 14 March 1857.9 At the age of 43, Mary Ann Bull was baptized in The Church of Jesus Christ of Latter-day Saints by William Jefferies on Saturday, 14 March 1857.9 She and Henry Criddle immigrated on the ship "American Congress" between 23 May 1866 and 5 July 1866 from London, England to New York City, New York, New York.12,13 Mary Ann Bull and Henry Criddle immigrated on the ship "Cornelius Grinnell" between 30 May 1866 and 11 July 1866 from London, England to New York City, New York, New York.12,13 At the age of 55, Mary Ann Bull received her endowment on Saturday, 10 October 1868 in the Endowment House, Salt Lake City, Salt Lake, Utah. She was sealed to Henry Criddle on Saturday, 10 October 1868 in the Endowment House, Salt Lake City, Salt Lake, Utah. Mary Ann Bull lived in Meadow, Millard, Utah on 1 June 1880.14 She died on Saturday, 10 February 1894 in Meadow, Millard, Utah at the age of 80 years, 6 months and 18 days. She was buried on Wednesday, 14 February 1894 in Meadow, Millard, Utah. [S271] Census returns for Taunton, 1841-1891. Great Britain. Census Office, Film Number: 0221080, First Name Verified. [S344] Record of members, 1854-1878. Church of Jesus Christ of Latter-day Saints. Taunton Branch, Film Number: 0087036 Item 2-3, First Name Verified. [S450] Mormon Immigration Index, First Name Verified. George Criddle was a farmer.4 He was born on Sunday, 15 April 1838 in Taunton, Somerset, England.1,5,6 He lived with Henry Criddle and Mary Ann Bull on the east reach, Taunton, Somerset, England on 13 May 1838.2 George Criddle was baptized by W.R. Crotch on 13 May 1838 in the St. Mary Magdalene's Church, Taunton, Somerset, England.2 He lived with Henry Criddle and Mary Ann Bull on the east reach, Taunton, Somerset, England on 29 December 1839.2 At the age of 18, George Criddle was baptized in The Church of Jesus Christ of Latter-day Saints by Charles Barrell on Sunday, 7 December 1856.1 He was confirmed in The Church of Jesus Christ of Latter-day Saints by S.W. Lucas on Sunday, 7 December 1856.1 At the age of 18, George Criddle was baptized in The Church of Jesus Christ of Latter-day Saints by Thomas Phillips on Monday, 16 March 1857.1 He was confirmed in The Church of Jesus Christ of Latter-day Saints by Elder H. Brown on Monday, 16 March 1857.1 At the age of 18, George Criddle was ordained a teacher by Elder T. Phillips in The Church of Jesus Christ of Latter-day Saints on 17 March 1857.1 At the age of 20, George Criddle married Mary Ann Lacey on Wednesday, 21 April 1858 in Somersetshire, England. At the age of 30, George Criddle received his endowment on Saturday, 10 October 1868 in the Endowment House, Salt Lake City, Salt Lake, Utah. He was sealed to Mary Ann Lacey on 10 October 1868 in the Endowment House, Salt Lake City, Salt Lake, Utah. 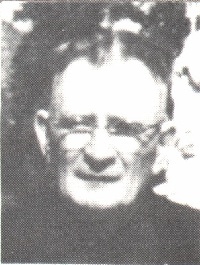 George Criddle and Mary Ann Lacey lived in Littleton, Morgan, Utah on 1 June 1880.4 George Criddle died on Saturday, 1 August 1891 in Brigham City, Box Elder, Utah at the age of 53 years, 3 months and 17 days. He was buried after 1 August 1891 in Littleton, Morgan, Utah. [S387] Census returns for Bradford, 1841, Film Number: 0474604. [S420] 1880 U.S. Federal Census Utah, Morgan County, Film Number: 1255336. [S387] Census returns for Bradford, 1841, Film Number: 0474604, Year, County Verified. [S420] 1880 U.S. Federal Census Utah, Morgan County, Film Number: 1255336, Year, Country Verified. William Criddle was born on Tuesday, 3 December 1839 in Taunton, Somerset, England.3 He lived with Henry Criddle and Mary Ann Bull on the east reach, Taunton, Somerset, England on 29 December 1839.2 William Criddle was baptized by W.R. Crotch on 29 December 1839 in the St. Mary Magdalene's Church, Taunton, Somerset, England.2 He lived with Henry Criddle and Mary Ann Bull on Alfred Street, Taunton, Somerset, England on 30 March 1851.1 At the age of 23, William Criddle married Selina Hartnell on Sunday, 20 September 1863 in Taunton, Somerset, England. William Criddle died on Wednesday, 15 August 1917 in Taunton, Somerset, England at the age of 77 years, 8 months and 12 days. Sarah Ann Criddle married Henry Dean. Sarah Ann Criddle was born on Thursday, 21 October 1841 in Taunton, Somerset, England.3,4 She lived with Henry Criddle and Mary Ann Bull on Alfred Street, Taunton, Somerset, England on 30 March 1851.5 At the age of 17, Sarah Ann Criddle was baptized in The Church of Jesus Christ of Latter-day Saints by John Berrett on Wednesday, 30 March 1859.4 She was confirmed in The Church of Jesus Christ of Latter-day Saints by John Berrett on Wednesday, 30 March 1859.4 She emigrated on 14 May 1862 from Taunton, Somerset, England.4 At the age of 32, Sarah Ann Criddle received her endowment on Monday, 27 October 1873 in the Endowment House, Salt Lake City, Salt Lake, Utah. She was sealed to her parents, Henry Criddle and Mary Ann Bull, on 9 June 1909 in the Salt Lake Temple, Salt Lake City, Salt Lake, Utah. Sarah Ann Criddle died on Tuesday, 31 January 1911 in Farmington, Davis, Utah at the age of 69 years, 3 months and 10 days. She was buried on Sunday, 5 February 1911 in Farmington, Davis, Utah. [S271] Census returns for Taunton, 1841-1891. Great Britain. Census Office, Film Number: 0221080, First Name, Last Name Verified. [S344] Record of members, 1854-1878. Church of Jesus Christ of Latter-day Saints. Taunton Branch, Film Number: 0087036 Item 2-3, First Name, Last Name Verified. Jane Criddle was born on Wednesday, 1 November 1843 in Taunton, Somerset, England.4,2,5 She lived with Henry Criddle and Mary Ann Bull on Alfred Street, Taunton, Somerset, England on 30 March 1851.1 Jane Criddle was confirmed in The Church of Jesus Christ of Latter-day Saints by Thomas Phillips on Tuesday, 17 March 1857.2 At the age of 13, Jane Criddle was baptized in The Church of Jesus Christ of Latter-day Saints by Thomas Phillips on Tuesday, 17 March 1857.2 She immigrated with Henry Criddle and Mary Ann Bull on the ship "American Congress" between 23 May 1866 and 5 July 1866 from London, England to New York City, New York, New York.6,7 Jane Criddle immigrated with Henry Criddle and Mary Ann Bull on the ship "Cornelius Grinnell" between 30 May 1866 and 11 July 1866 from London, England to New York City, New York, New York.6,7 At the age of 23, Jane Criddle received her endowment on Saturday, 16 March 1867 in the Endowment House, Salt Lake City, Salt Lake, Utah. At the age of 23, Jane Criddle married Henry George Labrum on Saturday, 16 March 1867 in the Endowment House, Salt Lake City, Salt Lake, Utah. Jane Criddle and Henry George Labrum lived in Meadow, Millard, Utah on 1 June 1880.8 Jane Criddle was sealed to her parents, Henry Criddle and Mary Ann Bull, on 9 June 1909 in the Salt Lake Temple, Salt Lake City, Salt Lake, Utah. Jane Criddle died on Monday, 9 April 1923 in Meadow, Millard, Utah at the age of 79 years, 5 months and 8 days. She was buried on Thursday, 12 April 1923 in the Meadow City Cemetery, Meadow, Millard, Utah. Elizabeth Criddle was a spinster.3 She was born on Thursday, 16 October 1845 in Taunton, Somerset, England.4,5,6 She lived with Henry Criddle and Mary Ann Bull on Alfred Street, Taunton, Somerset, England on 30 March 1851.1 At the age of 12, Elizabeth Criddle was baptized in The Church of Jesus Christ of Latter-day Saints by Eliu Wilkins on Monday, 9 November 1857.2 She was confirmed in The Church of Jesus Christ of Latter-day Saints by James May on Monday, 9 November 1857.2 She immigrated with Henry Criddle and Mary Ann Bull on the ship "American Congress" between 23 May 1866 and 5 July 1866 from London, England to New York City, New York, New York.3,7 Elizabeth Criddle died on Monday, 13 March 1905 in Taunton, Somerset, England at the age of 59 years, 4 months and 25 days. [S344] Record of members, 1854-1878. Church of Jesus Christ of Latter-day Saints. Taunton Branch, Film Number: 0087036 Item 2-3, Date Verified. Selina Criddle was a spinster.3 She was also known as Salena Criddle.5 She was born in 1845 in England.6 She was born on Wednesday, 28 February 1849 in Taunton, Somerset, England.2 She was born on Thursday, 28 February 1850 in Taunton, Somerset, England.7,8 She lived with Henry Criddle and Mary Ann Bull on Alfred Street, Taunton, Somerset, England on 30 March 1851.1 At the age of 12, Selina Criddle was baptized in The Church of Jesus Christ of Latter-day Saints by William Wille on Thursday, 25 December 1862.2 She was confirmed in The Church of Jesus Christ of Latter-day Saints by Henry Criddle on Thursday, 25 December 1862; by Henry Criddle.2 Selina Criddle immigrated with Henry Criddle and Mary Ann Bull on the ship "American Congress" between 23 May 1866 and 5 July 1866 from London, England to New York City, New York, New York.3,9 Selina Criddle immigrated with Henry Criddle and Mary Ann Bull on the ship "Cornelius Grinnell" between 30 May 1866 and 11 July 1866 from London, England to New York City, New York, New York.3,9 Joseph Adams married Selina Criddle at the age of 22 and 17 on Wednesday, 27 March 1867 in Littleton, Morgan, Utah. At the age of 17, Selina Criddle received her endowment on Thursday, 6 June 1867 in the Endowment House, Salt Lake City, Salt Lake, Utah. At the age of 18, Selina Criddle received her endowment on Saturday, 6 June 1868 in the Endowment House, Salt Lake City, Salt Lake, Utah. She and Joseph Adams lived in Meadow, Millard, Utah on 2 June 1880.6 Selina Criddle was sealed to her parents, Henry Criddle and Mary Ann Bull, on 9 June 1909 in the Salt Lake Temple, Salt Lake City, Salt Lake, Utah. Selina Criddle died on Tuesday, 15 January 1924 in Fillmore, Millard, Utah at the age of 73 years, 10 months and 18 days. She was buried on Thursday, 17 January 1924 in the Meadow City Cemetery, Meadow, Millard, Utah. Robert Criddle was born on Monday, 9 August 1852 in Taunton, Somerset, England. He died on Friday, 3 December 1852 in Taunton, Somerset, England at the age of 3 months and 24 days. He was buried after 3 December 1852 in Taunton, Somerset, England. Charles Criddle was a laborer.1 He was born on Saturday, 22 July 1854 in Taunton, Somerset, England.2,4 He was blessed in The Church of Jesus Christ of Latter-day Saints by Elder Brown on Tuesday, 17 March 1857.2 He was confirmed in The Church of Jesus Christ of Latter-day Saints by Henry Criddle on Thursday, 25 December 1862; by Henry Criddle.2 At the age of 8, Charles Criddle was baptized in The Church of Jesus Christ of Latter-day Saints by William Willes on Thursday, 25 December 1862 in Taunton, Somerset, England.2 He immigrated with Henry Criddle and Mary Ann Bull on the ship "American Congress" between 23 May 1866 and 5 July 1866 from London, England to New York City, New York, New York.3,5 Charles Criddle immigrated with Henry Criddle and Mary Ann Bull on the ship "Cornelius Grinnell" between 30 May 1866 and 11 July 1866 from London, England to New York City, New York, New York.3,5 At the age of 19, Charles Criddle received his endowment on Monday, 6 July 1874 in the Endowment House, Salt Lake City, Salt Lake, Utah. Charles Criddle married Emma Jane Crofts at the age of 19 and 17 on Monday, 6 July 1874 in the Endowment House, Salt Lake City, Salt Lake, Utah. Charles Criddle and Emma Jane Crofts lived in Meadow, Millard, Utah on 1 June 1880.1 Charles Criddle was sealed to Henry Criddle and Mary Ann Bull on 9 June 1909 in the Salt Lake Temple, Salt Lake City, Salt Lake, Utah. At the age of 57, Charles Criddle married Harriet Habbeshaw on Thursday, 12 October 1911. 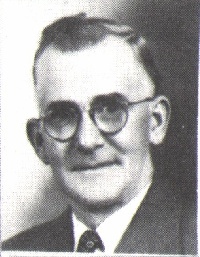 Charles Criddle died on Tuesday, 16 June 1936 in Basalt, Bingham, Idaho at the age of 81 years, 10 months and 25 days. 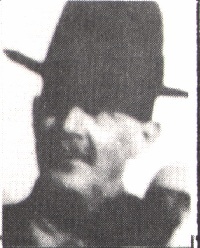 He was buried on Friday, 19 June 1936 in Basalt, Bingham, Idaho. [S222] Record of members, 1892-1941; annual genealogical report, Form E, 1907-1948. Church of Jesus Christ of Latter-day Saints. Benjamin Ward (Utah), Film Number: 0025834, First Name, Middle Initial, Last Name Verified. [S257] Cemetery Records of Benjamin, Utah, Utah, First Name, Last Initial Verified. [S262] 1850 U.S. Federal Census Utah, Film Number: 025540, First Name Verified. [S273] 1860 U.S. Federal Census Utah, Utah County, Film Number: 0805314, First Name Verified. [S278] 1870 U.S. Federal Census Utah, Utah County, Film Number: 0553111, First Name Verified. [S284] 1880 U.S. Federal Census Utah, Utah County, Film Number: 1255338, First Name, Middle Initial Verified. [S292] 1910 U.S. Federal Census Utah, Utah County, Film Number: 1375622, First Name Verified. [S418] Benjamin sexton records, Benjamin, Utah County, Utah, Film Number: 0002117 Item 14, First Name, Last Initial Verified. [S458] Family Group Sheets obtained from the Nauvoo Land and Records Research Center. [S273] 1860 U.S. Federal Census Utah, Utah County, Film Number: 0805314, Seamstress Verified. [S292] 1910 U.S. Federal Census Utah, Utah County, Film Number: 1375622, Housekeeper Verified. [S257] Cemetery Records of Benjamin, Utah, Utah, Year Verified. [S262] 1850 U.S. Federal Census Utah, Film Number: 025540, Year, State Verified. [S273] 1860 U.S. Federal Census Utah, Utah County, Film Number: 0805314, Year, State Verified. [S284] 1880 U.S. Federal Census Utah, Utah County, Film Number: 1255338, Year, State Verified. [S292] 1910 U.S. Federal Census Utah, Utah County, Film Number: 1375622, Year, State Verified. [S418] Benjamin sexton records, Benjamin, Utah County, Utah, Film Number: 0002117 Item 14, Year Verified. [S455] Nauvoo Temple Endowment Register 1845-46 obtained from the Nauvoo Land and Records Research Center, Date, County Verified. [S278] 1870 U.S. Federal Census Utah, Utah County, Film Number: 0553111. [S273] 1860 U.S. Federal Census Utah, Utah County, Film Number: 0805314. [S292] 1910 U.S. Federal Census Utah, Utah County, Film Number: 1375622. [S458] Family Group Sheets obtained from the Nauvoo Land and Records Research Center, Date Verified. [S257] Cemetery Records of Benjamin, Utah, Utah, Year, Place Verified. [S418] Benjamin sexton records, Benjamin, Utah County, Utah, Film Number: 0002117 Item 14, Year, Place Verified. [S34] 1920 U.S. Federal Census Utah, Weber County, Film Number: 1821869, First Name, Middle Initial, Last Name Verified. [S306] Obituary - Pearl A.B.B. 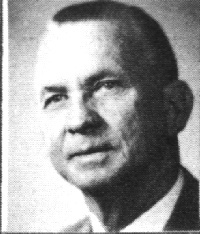 Norton, Deseret News, 24 Jul 1957, Frank, Middle Initial, Last Name Verified. [S27] Cemetery records. Willard City Cemetery (Box Elder, Utah), Film Number: 0599701 Item 3, Date Verified. [S32] 1900 U.S. Federal Census Nevada, Elko County, Film Number: 1240943, Date and State Verified. [S33] 1910 U.S. Federal Census Nevada, Elko County, Film Number: 1374871. [S306] Obituary - Pearl A.B.B. Norton, Deseret News, 24 Jul 1957, Year Verified. Bessie Alice Adams was born on Thursday, 28 June 1877 in Meadow, Millard, Utah.3,4 At the age of 8, Bessie Alice Adams was baptized in The Church of Jesus Christ of Latter-day Saints on Friday, 9 October 1885. 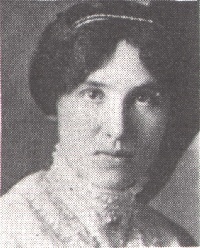 William Henry Gull married Bessie Alice Adams at the age of 27 and 19 on Wednesday, 9 September 1896 in the Salt Lake Temple, Salt Lake City, Salt Lake, Utah.5 At the age of 19, Bessie Alice Adams received her endowment on Wednesday, 9 September 1896 in the Salt Lake Temple, Salt Lake City, Salt Lake, Utah. She and William Henry Gull lived in a house owned free in Meadow, Millard, Utah on 16 April 1910.6 Bessie Alice Adams died on Tuesday, 17 November 1959 in Sandy, Salt Lake, Utah at the age of 82 years, 4 months and 20 days. [S331] 1910 U.S. Federal Census Utah, Millard County, Film Number: 1375617, First Name, Middle Initial Verified. [S209] 1920 U.S. Federal Census Utah, Millard County, Film Number: 1821863, First Name, Middle Initial, Last Name Verified. [S593] Obituary of Myrle J. Gull, First Name Verified. [S268] Cemetery Records of Meadow, Millard, Utah, First Name, Middle Initial Verified. [S268] Cemetery Records of Meadow, Millard, Utah, First Name, Last Initial Verified. [S727] Unknown title, 15 Apr 2005, Deseret Morning News, First Name, Last Name Verified. 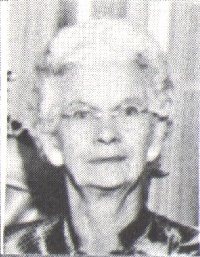 Verda Duncan was born on Monday, 14 October 1895 in Meadow, Millard, Utah. At the age of 8, Verda Duncan was baptized in The Church of Jesus Christ of Latter-day Saints on Saturday, 3 September 1904. Arnold Ezra Gull married Verda Duncan at the age of 18 and 23 on Friday, 28 August 1914 in Salt Lake City, Salt Lake, Utah.1 She was sealed to Arnold Ezra Gull on 21 April 1921 in the Manti Temple, Manti, Sanpete, Utah. At the age of 25, Verda Duncan received her endowment on Thursday, 21 April 1921 in the Manti Temple, Manti, Sanpete, Utah. [S192] 1920 U.S. Federal Census Utah, Utah County, Film Number: 1821868, First Name, Middle Initial, Last Name Verified. [S284] 1880 U.S. Federal Census Utah, Utah County, Film Number: 1255338, First Name, Middle Initial, Last Name Verified. [S192] 1920 U.S. Federal Census Utah, Utah County, Film Number: 1821868. [S284] 1880 U.S. Federal Census Utah, Utah County, Film Number: 1255338. [S481] Deseret News Obituary - Arlo Henry Stewart, 2 Apr 2003, First Name Verified. [S832] Obituary of Calvin P. Stewart, Deseret Morning News, 18 Jan 2007. [S223] Obituary - Keith Stewart, Deseret News, 21 May 1972, First Name, Last Name Verified. [S371] Index to deaths, 1905-1988. Deaths, A-Z, 1970-1979. California. State Registrar, Film Number: 6332563, First Name, Middle Initial, Last Name Verified. [S371] Index to deaths, 1905-1988. Deaths, A-Z, 1970-1979. California. State Registrar, Film Number: 6332563. [S38] Social Security Death Index, Month, Year, State Verified.